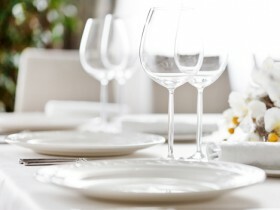 Harden's Guides have been compiling reviews of the best restaurants in Canary Wharf since 1998. 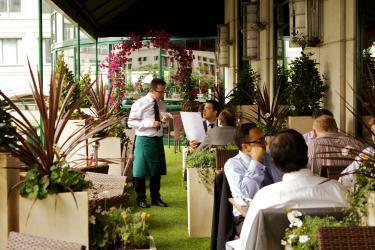 Hardens guides have spent 25 years compiling reviews of the best Canary Wharf restaurants. 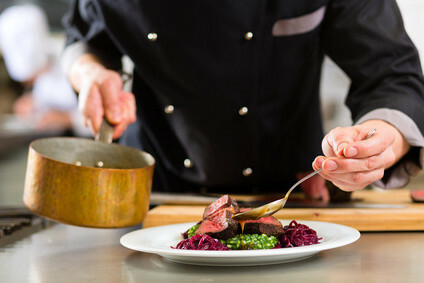 On Hardens.com you'll find details and reviews of 26 restaurants in Canary Wharf and our unique survey based approach to rating and reviewing Canary Wharf restaurants gives you the best insight into the top restaurants in every area and of every type of cuisine. 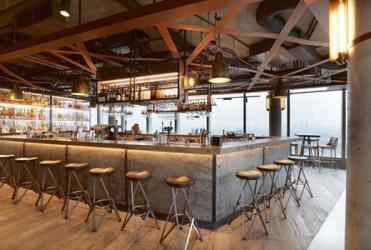 A brilliant view, from a location convenient for Canary Wharf worker-bees, is the pull to this “reliable” business-friendly outfit from D&D London. Opinion is split on the food: some praise “Jeremy Trehout’s French classicism overlaid with British-European modernism” while others find it “boring” and “expensive”. Top Tip: “stick to the bar and grill and you can be in/out in an hour at a reasonable price”. “A genuine import from Japan”; lovers of “decent, authentic noodles” give the thumbs-up to the “authentic” ramen served at the three London branches of this chain originating in Fukuoka, with venues in Holborn, Embankment and Canary Wharf. One aficionado insists they’re actually “better than their Japanese outlets (although twice the price!)”. This Boisdale spin-off in Canary Wharf (for a drink, try to grab a seat on the terrace) aims to replicate the Caledonian styling of the Belgravia original, down to the live music and focus on wines and whiskies. When it comes to its traditional, meaty fare, no culinary fireworks were reported this year, but it was consistently well-supported. “I love sitting at the counter with my partner, drinking the cocktails and sake, and having the most brilliant food!” – These “chilled” (if “noisy” and “buzzy”) operations hail from the same stable as Zuma, and have carved a formidable following thanks to a Japanese-inspired array of “clean-tasting” fusion dishes, sushi and robata grills, full of “vibrant flavour”. “It all adds up to a wonderful experience, but with a bill to match!” Top Tips – “fantastic weekend brunch menu, with booze included!” at all branches; and “rocking basement bar” at the Charlotte Street original. A fine position by the Thames, looking over to the O2, is the draw to this 200-year-old, Grade II listed tavern in the depths of Docklands. Since its sale by ETM group to Fuller’s, it doesn’t attract the attention it once did as a dining destination, but feedback on eating here remains upbeat. “On a clear day the sights across London are wonderful” on the 37th floor of the recently opened Novotel Canary Wharf. This 65-cover venue still inspires limited feedback, but such as we have praises “beautifully presented dishes, tasty drinks and a great atmosphere”. “Does what it says on the tin” – these bustling upscale diners no longer seem quite as novel as they once did but continue to offer “a winning combination of burger and lobster served at a reasonable price point”. Under the same ownership as the Goodman steak chain – from autumn 2018, the owners plan a new, more informal spin-off brand, ‘Shack by Burger & Lobster’, to be launched in Camden. From a tiny van named Conchetta to a bricks ’n’ mortar chain – the Elliot brothers deliver a pizza hit that’s still “a step-up from standard fare” at their expanding group, but its ratings are becoming more mainstream than during their heady earlier days. “A wide range of both grass-fed and grain-fed steaks from around the globe” helps fully satisfy the cravings of “those who like a good steak meal and decent bottle of red” at this “very solid” group of NYC-style steak-houses, which – amongst the more expensive multiples – remains the “best in town”. “It’s not a cheap option by any means, but great for a business lunch or blow-out in the evening”. In the lobby of Canary Wharf’s top landmark, this is “a business restaurant primarily, so I don’t really rate the atmosphere” (“it’s too bland for anything else”). “However, it works perfectly for a meeting: breakfast and lunch menus are well thought out and the food well put together”. For its purpose “definitely one of the best restaurants in the Wharf”. These are the top restaurants in Canary Wharf based on reviews by Hardens users.